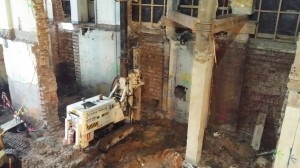 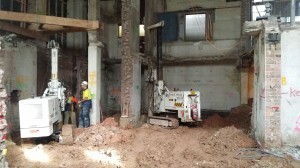 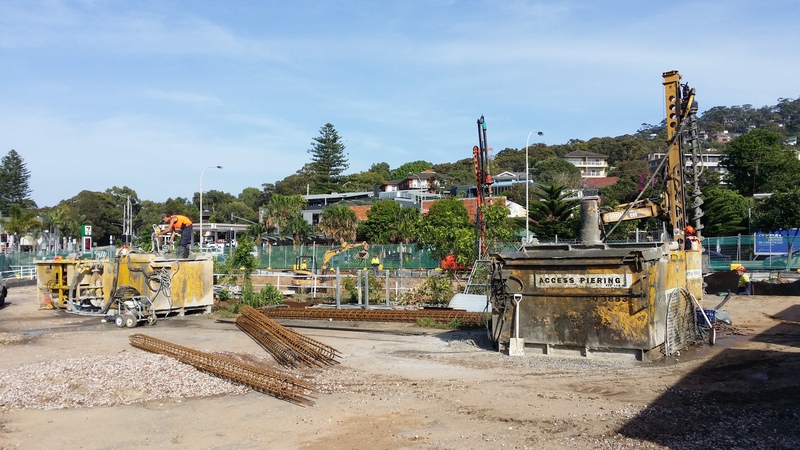 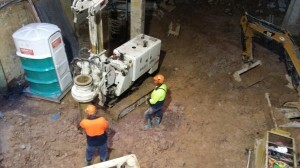 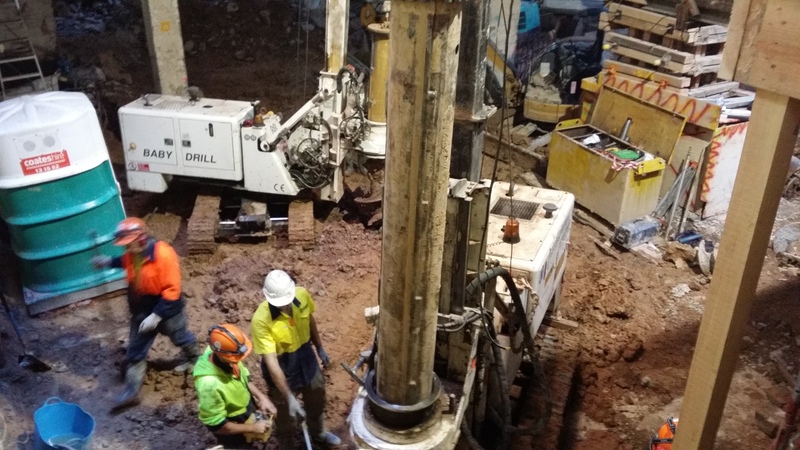 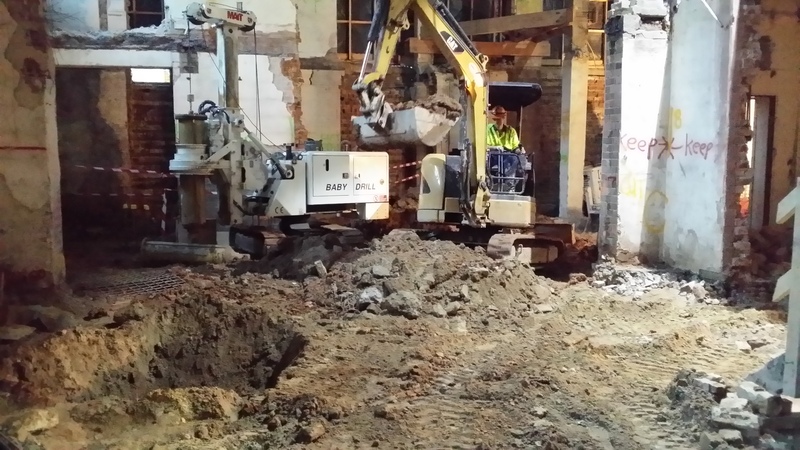 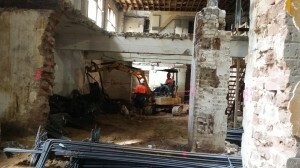 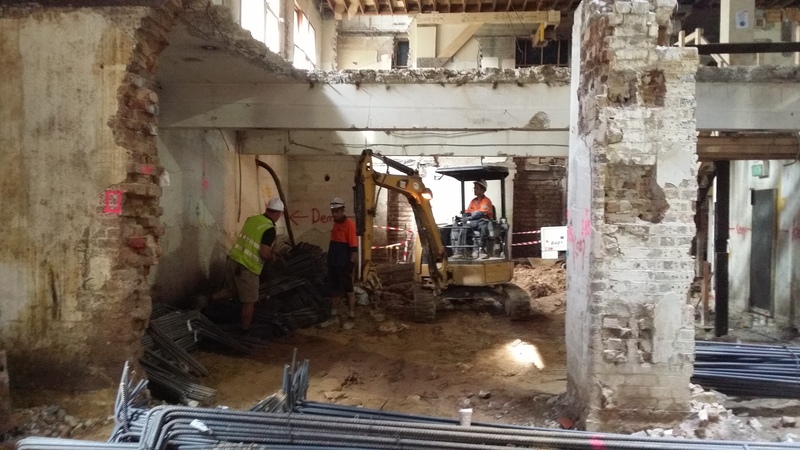 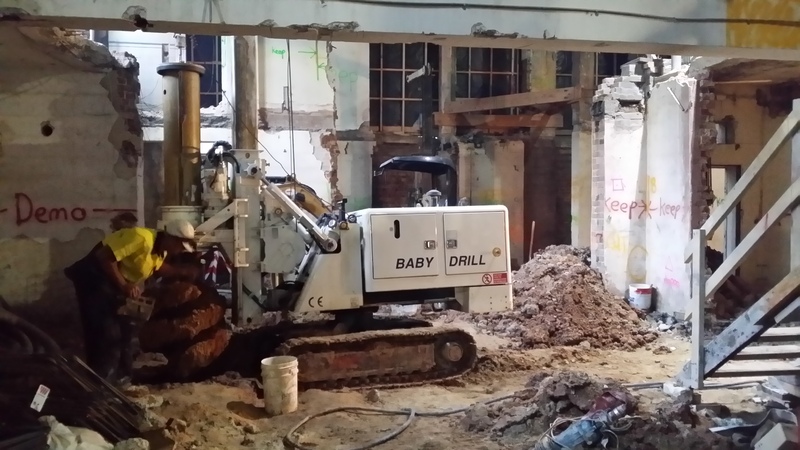 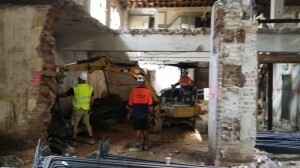 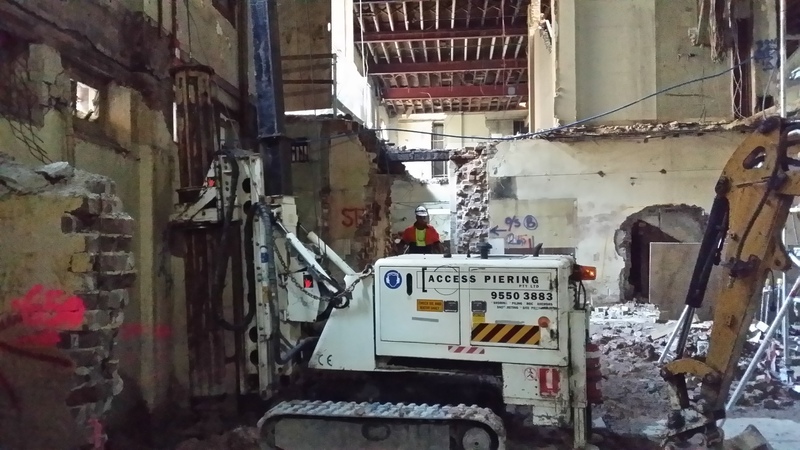 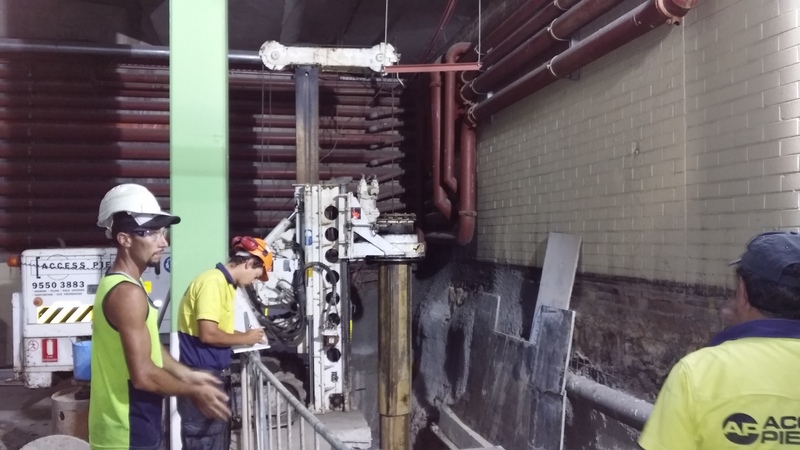 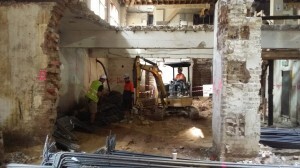 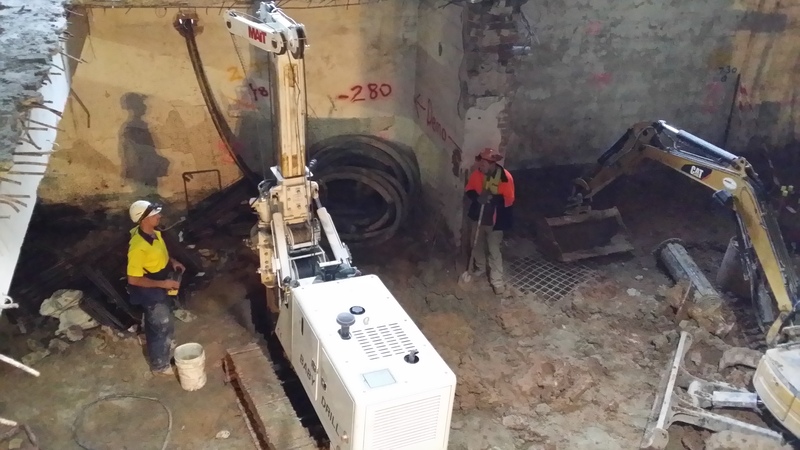 Access Piering were engaged by Icon Construction to provide foundation piles for new hotel development that was inside a heritage building in Chippendale. 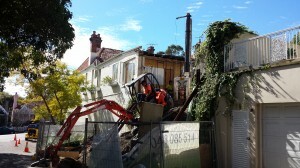 The design was for a new structure built from the inside, retaining and utilising the heritage facade. 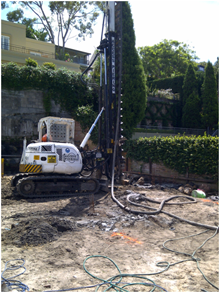 The first challenge was to drill foundation piles working around the existing structure. 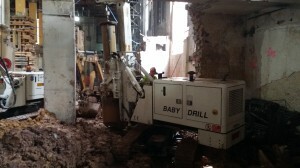 The second challenge was to have enough firepower on site to meet the very ambitious program. 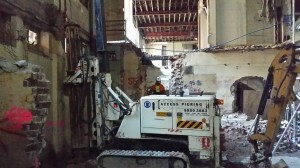 The building was demolished back to the ‘bare bones’ structure. This proved a difficult challenge for drilling as we had to carefully work our way in and around existing structure that was keeping the building in place. 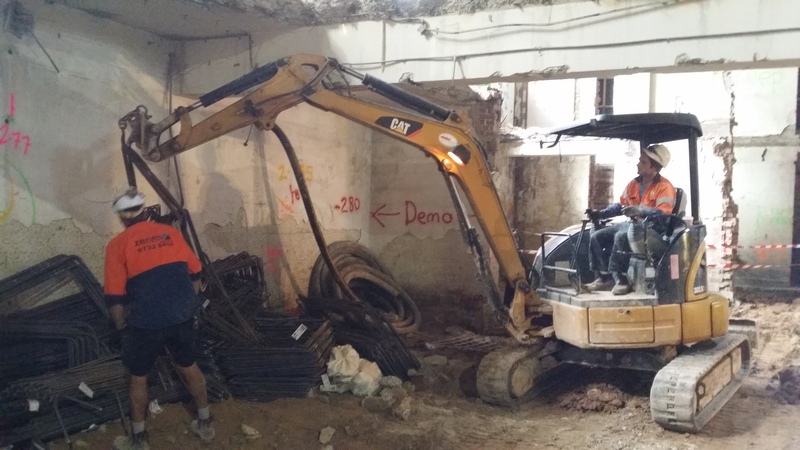 Fortunately we were able to respond to the challenge of the site conditions and the program. 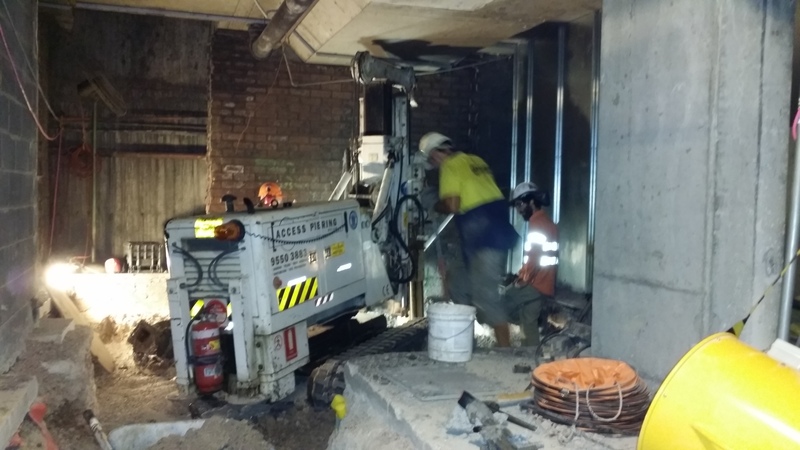 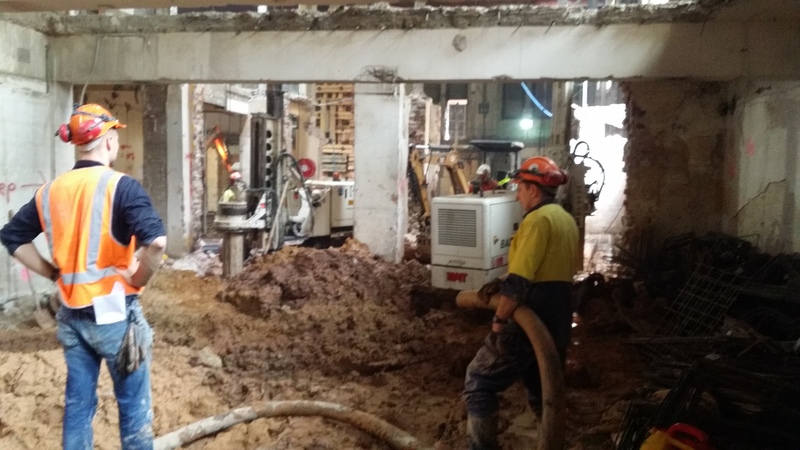 By utilising our 2 low headroom machines on site at the same time, we almost halved the program time. We were also able to work in all available areas. 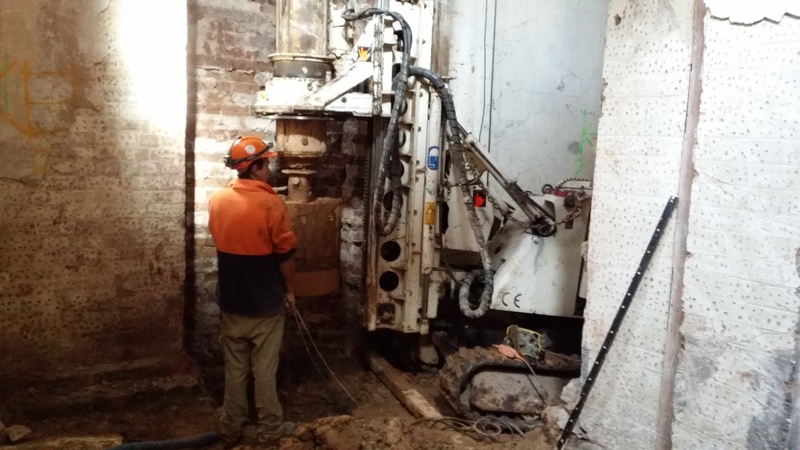 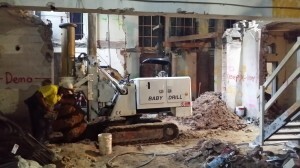 Working with heritage buildings and foundations, no everything goes according to plan, so sometimes we drilled – hit something that had to be removed – and we were able to move onto another area and keep drilling. 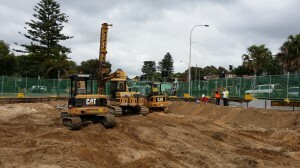 Access Piering were engaged to deliver a 7.5 m high retaining wall for a multi-unit development site in Newport. 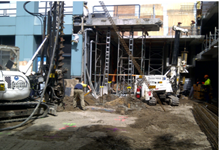 We had 2 drill rigs on site, with 2 full complete CFA set ups. There were 360 piles required on site, for a total of 2300 lineal metres. The ground conditions were sand, with heavy clay. 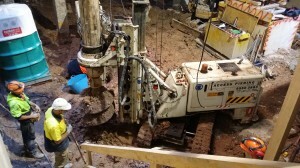 The water table was approx 1 m below the surface. 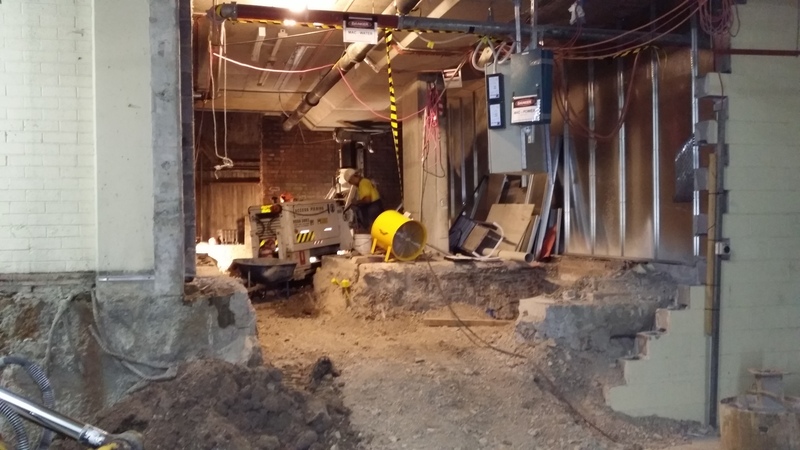 Working closely with the developer and the excavation contractor we were able to save 5 days off the program, and fasttrack the capping beam and excavation. 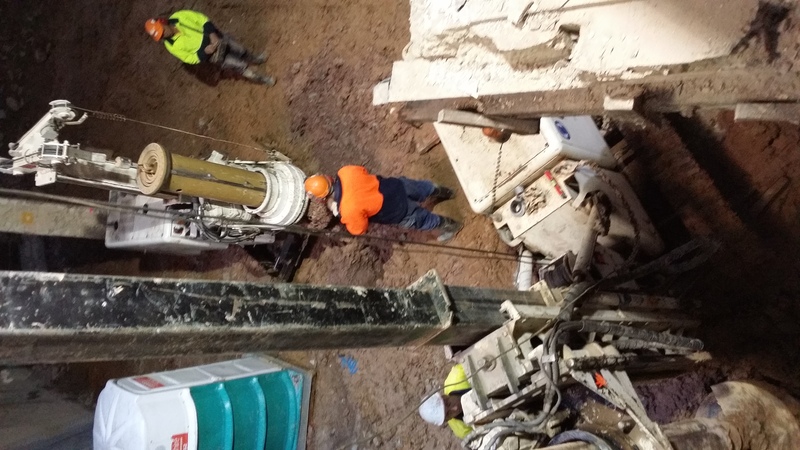 Note the value of a specialised CFA drill rig as seen in the photos. 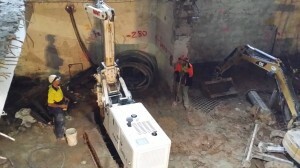 The machine can set up the auger “off to the side”. 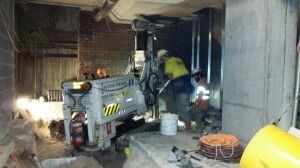 The operator can align the tracks with the retaining wall, and drill off the side of the machine. 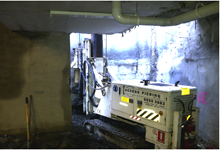 This saves valuable time as the operator is not required to track in and out for each pile. We have recently completed low headroom piling for Lend Lease at Castle Towers shopping centre in Castle Hill. 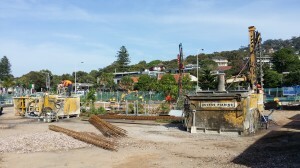 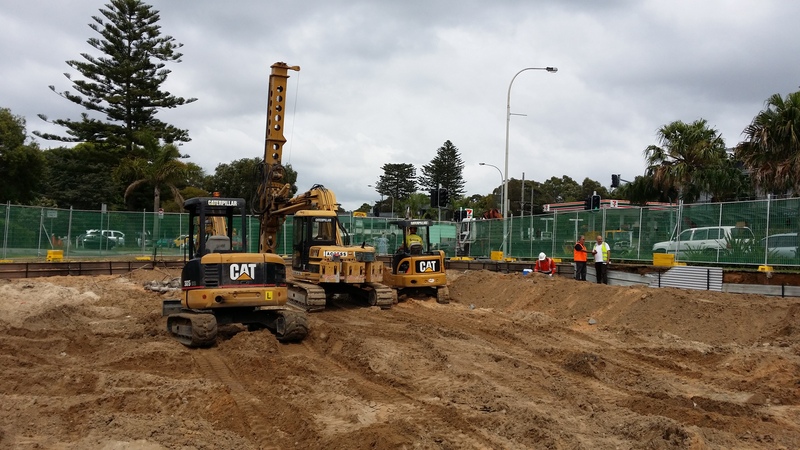 As part of the upgrading of the carpark works, in preparation for expansion of the Shopping Centre, Access Piering was engaged to construct low headroom piles that would create a tunnel in the existing carpark to create a better traffic flow in the carpark. 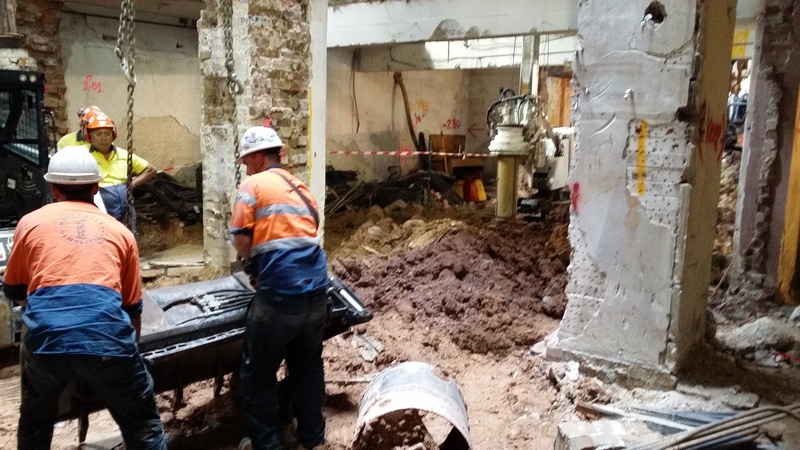 Access Piering expertise was called on for each stage of the project with the initial discussions with Lend Lease taking place 12 months before we were on site. We squeezed our rig into this very tight spot to create piles that would take the high structural loads required. 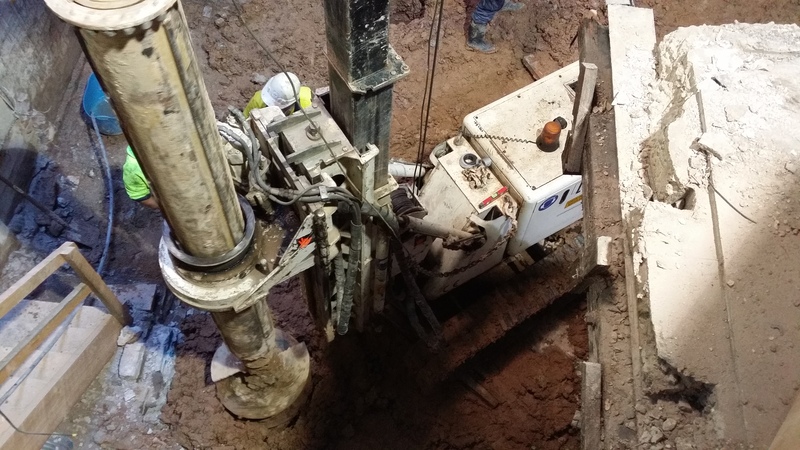 Not only was the location where we installed the piles a difficult location, but we had to work our way to the location of the piles. 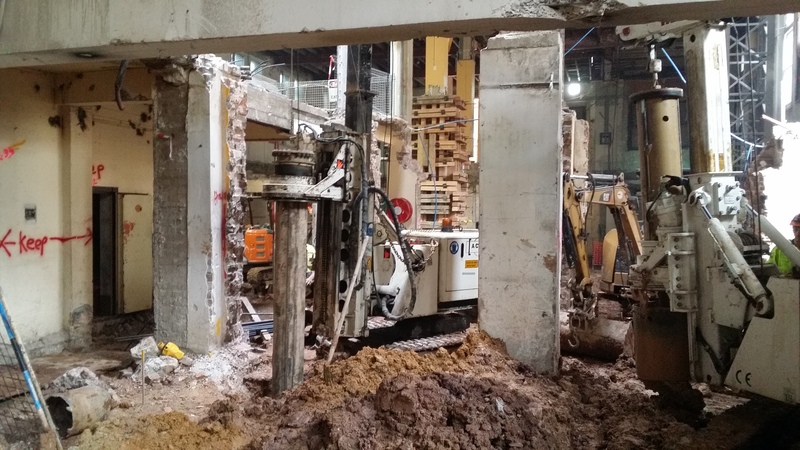 Here we can see the Access Piering low headroom piling rig set up to work in and around existing fire water sprinkler system. By working with our unique drill rigs and experienced crew, the carpark could continue to operate while we installed the piles. 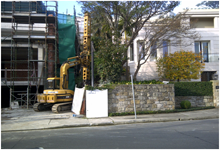 Access Piering were asked to help a homeowner who was trying to build retaining wall, to create a new garage in Woollahra. The existing garden was 3 metres above the finished floor level (FFL), and there was a layer of very hard rock about 1 m above the FFL. The piles needed to be drilled into sand and then socketted into rock, in a tight garage. 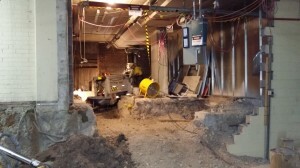 Unfortunately the homeowner contracted the building of the garage to an in-experienced contractor who proceeded to install poor quality piles. They did not have the right equipment, nor the experience for such a difficult project. 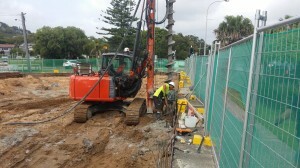 When we inspected the piles, we could move the piles with a 3.5 t excavator. Just in case you were wondering, once a pile is installed it should NOT move. 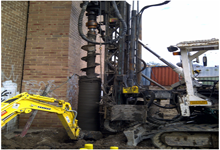 When Access Piering came on site we had to remove the poor quality piles and install new piles, with proper rock sockets. Because we have the experience and the equipment to manage this difficult project, we were able to install the piles safely and quickly. 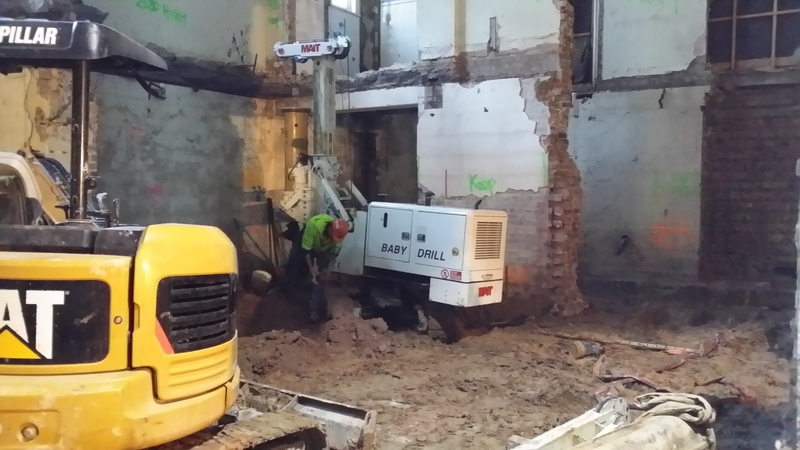 Here we can see the drill rig on the upper level drilling the garage walls. 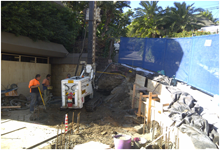 End result was a a great retaining wall, a very happy homeowner and a new safe place to park the car. 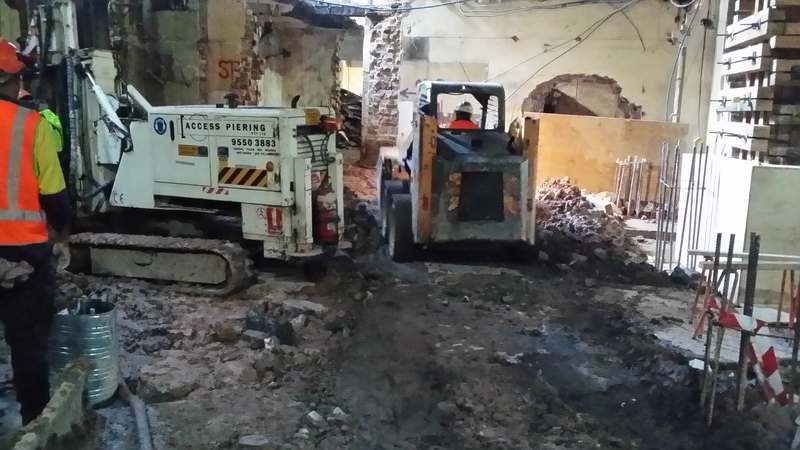 Client wanted to add another level of car park below an existing building. 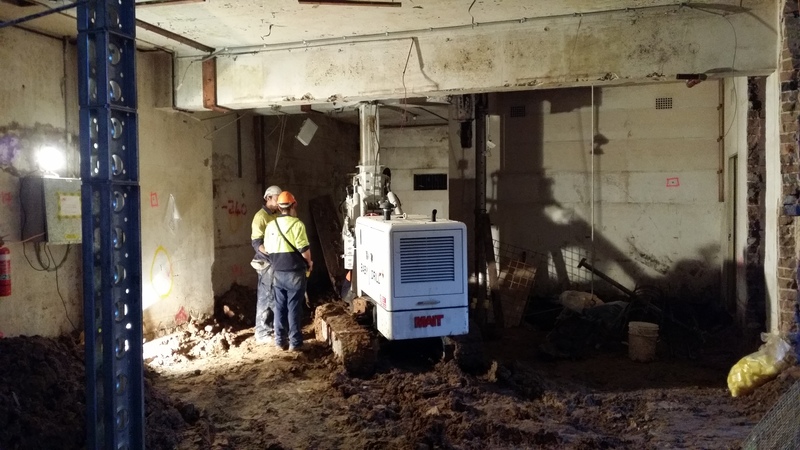 We provided the piers for the temporary underpinning of the 5 storey commercial building. 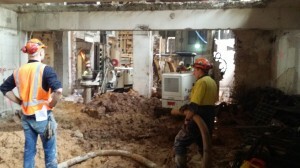 Ground conditions on site were different from what the Geotechnical report detailed. 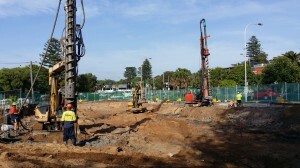 The builder needed CFA piles quickly. developed by Designed by Saksham Kumar.